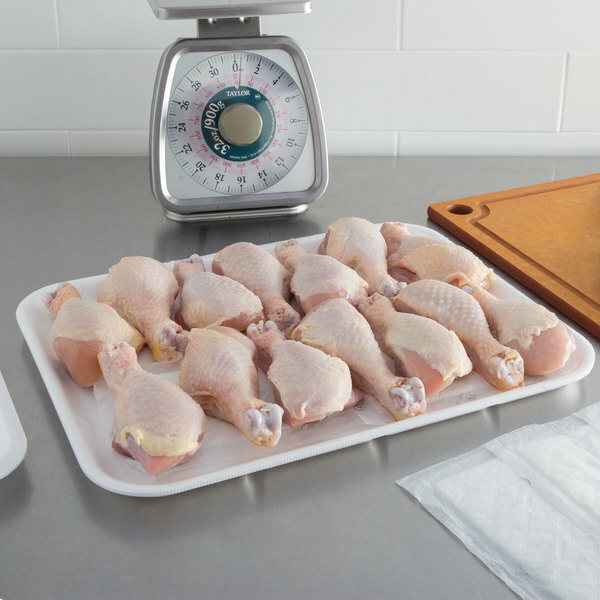 Display your freshest meats, fruits, and vegetables with this CKF 88142 foam tray! Made of sturdy, high-quality foam, this supermarket tray is perfect for arranging produce, poultry, and more to be stored or displayed in refrigerated merchandisers at your establishment. The tray's white color draws attention to the products featured inside, and can even be used for simple product identification. Whatever you use it for, this tray is a versatile option for delis, grocery stores, and similar venues. 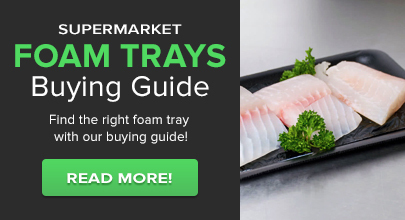 Compatible with auto wrapping equipment, this foam tray makes packaging meats and produce easy and efficient, helping to save time and energy. Plus, when packaged, this tray is the perfect way to keep food items fresh for longer periods of time. As an added benefit, this tray is disposable, providing customers with fast and easy clean up after use! 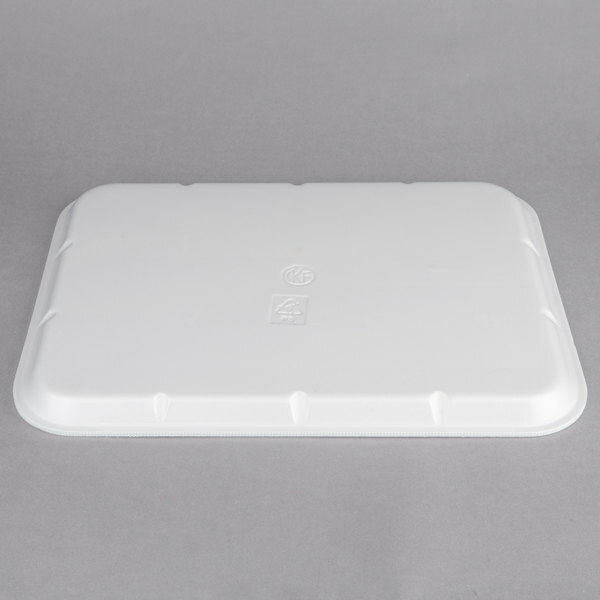 Offering sturdiness and function at an economical price, this CKF foam supermarket tray is sure to suit your many needs. Reasonably priced product but not strong enough for heavier items. 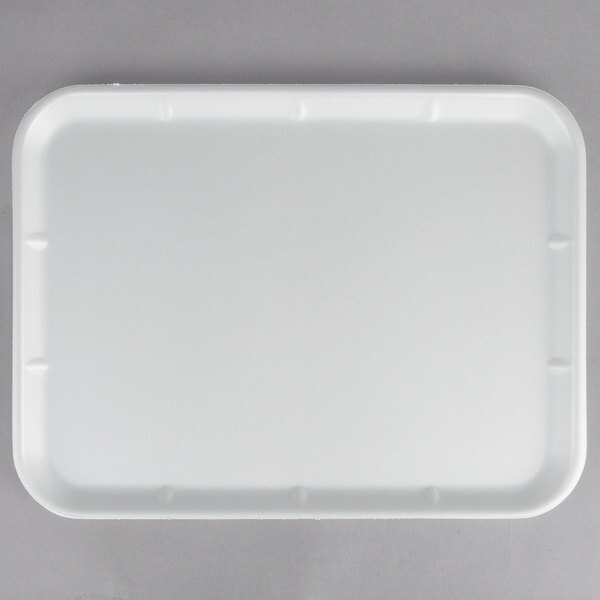 You probably will like this for a liner or disposable plate under light food items. I use it for sampling food items such as crackers and cheese. If you place heavy items in its center (> 5lbs) it will crack from the middle.